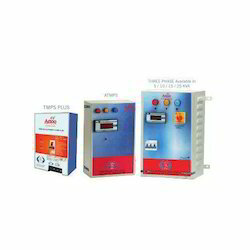 Leading Manufacturer of micro power saver, power saver and power savers from Mumbai. What is True Micro Power Saver ? How does True Micro Power Saver work ? True Micro Power Saver technology also provides Harmonic Filtration, which reduce electrical current in "pulses". This pulse use of electrical current creates damaging noise, interference and heat on today's electrical systems causing interference within sensitive electrical equipment or worse causing them to overheat and fail. The use of computerized electronics within the Indian home / office has been growing at exponential rates and the need for filtering out the interference, noise and heat created by nonlinear loads has never been greater. 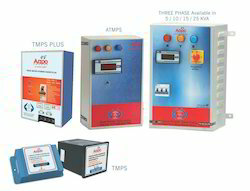 We with a vast experience in power saving products are engaged in offering highly efficient Power Saver. This is created with use of industry standards components under the supervision of our learned technicians who have a vast and notable experience in usage and benefits of power saving machine. This ensures uniformity in electricity and save nominal amount of electricity that further reduces the electricity bill and money savings. We are engaged in offering Power Savers that are highly performance oriented power compensation solution that reduces the electricity bills. 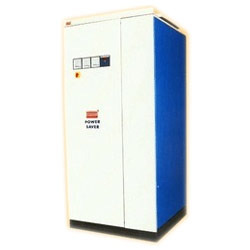 The power saver consists of harmonic filters that perform mitigation for a wide array of needs. This includes equipment to help reduce amplification of harmonics when capacitors are automatically switched, to suppress one or more specific harmonics orders. This is created by our learned engineers who have invested a lot of their time and energy in plenty of research and development in electricity saving products.